Dr. Rina Bernard is a general practitioner who has been working at the CTMH | Doctors Hospital since 2009. Dr. Bernard was trained as a doctor and surgeon at the Universidad de Cartagena in Cartagena, Colombia. 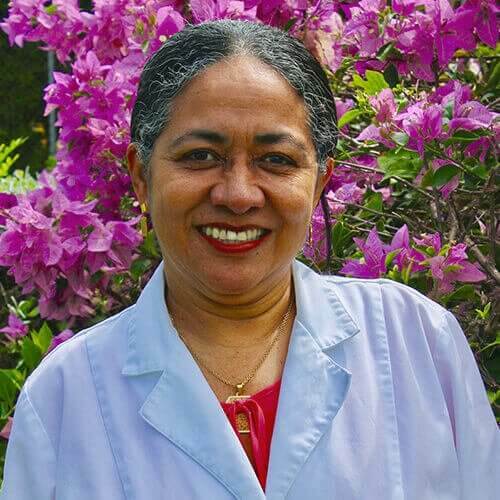 She has practiced medicine as a family doctor in Colombia since 1988 and in the Cayman Islands since 2009. Dr. Bernard is also certified by the Caribbean Association of Medical Councils in Jamaica. In addition to her work as a primary care physician, Dr. Bernard also specialises in work permit medicals, sports physicals and yearly executive physicals. Dr. Rina Bernard is fluent in both Spanish and English. SE HABLA ESPANOL.